This week has been reasonably quiet. There have definitely been some interesting releases coming up, which of course you will be able to peruse below. But not much major news for the most part. 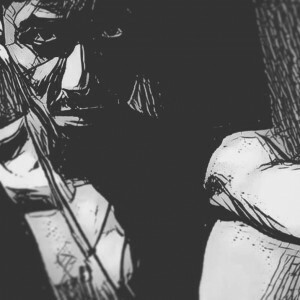 This Is Darkness just got support from our second patron through our Patreon page, which you can find here. The support is greatly appreciated and is more helpful than you might imagine. I hope some more people that find This Is Darkness to be an indispensable tool to their dark ambient doings will also consider to offer their support. Regardless, we’re going full steam ahead. Because this is being done first and foremost for the love of the genre! 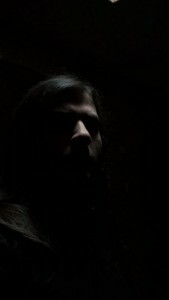 I have been starting to re-publish my previous interviews from when I worked for Terra Relicta Dark Music Webmagazine. There have already been several added, which you can find links to at the bottom of this article. There will be about 5-6 more posted over the coming week. A big thank you to Terra Relicta for allowing me to re-publish these interviews on This Is Darkness. Many people wouldn’t have done that, and for their continued friendship and support I am very thankful. Initially the name of a collaborative CD between Henrik Nordvargr Björkk and Margaux Renaudin released on Cold Spring in 2016, the duo have now relabeled and solidified themselves under the Anima Nostra moniker, and in turn, broadly expanded their sonic palette, taking the more intimate ritual ambient aspects of the debut, and incorporating them as part of towering constructs that blur the line between death industrial, doom metal, and neo-classical. With it’s upward swells of foreboding brass, fearsome tribal percussion, and hammering, bass heavy dirge, “Atraments” is the unleashing of something truly monumental and cataclysmic, eclipsing nearly everything Nordvargr has ever been associated with in of scope and grandeur. Integral and prominent in the mix are heavily serrated and imperious vocals, employed to drag the listener inexorably into an inferno of apocalyptic proportions, while adding a more structured “song” element and trumpeting the arrival of an inevitable doom. Atraments stands firmly as a vision complete and the perfect soundtrack for times of great tumult. Completed with artwork by Thomas Ekelund (Trepaneringsritualen) and Portuguese occult calligrapher Gordoletters, in 6 panel, heavy stock digipak with varnish print. Araphel returns with the book of revelation, accompanied by the lamb who possesses seven horns and seven eyes, who opens the first four seals within the leather bound book, The Four Horsemen, freed with their own purpose of devastation to set upon the earth. Pestilence, War, Famine, and Death. In this album we will experience the unleashing of the horsemen of the apocalypse in a Dark/Horror Ambience. Eilean Records is set to release the latest album by Bill Seaman. Not exactly dark ambient, but extremely reserved and introspective music, for lovers of darkness. Russian digital label Østpreussen releases the latest music by Lord Krepelka. 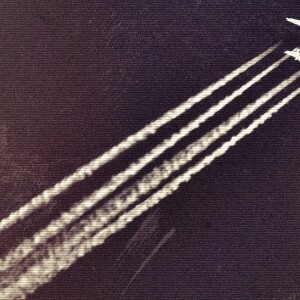 After The War is a two-track EP which focuses on experimental sounds but has a uniquely dark aspect, putting it very close to being in line with dark ambient itself. Noctivagant has just released Daimonic Apotheosis [MMXVII], another brilliant work by Corona Barathri, this time with the help of Melek-Tha. More deep ambient journeys from Nunc Stans. Suspend time, and drift away …. who knows where you will end up. Drone based, expansive, detailed, musical, and always in flux. An experimental dark ambient album featuring everything from piano to drone to field recording intensive tracks. This double album is the successor to the previous release entitled Chöd from nearly a year ago. The new release shows how Phurpa constantly transforms itself through their own musical exploration as well as personal spiritual development. Apart from intensive concerts, its members are famous for their long meditation trainings/sessions. This constant movement, the exploration of various techniques and discovering new inspirations in eastern culture makes Phurpa musicians more and more eager to use traditional instruments in addition to their distinctive “rgyud-skad” singing, thus enriching the already familiar formula. By emphasizing the sacred and spiritual nature of their activity, they seek to enrich it in such a way that the listener can find the novum, bearing in mind that not only the aesthetic but very spiritual world of the ancient deities of the Bön tradition is particularly important. The title, referring to the magical quest for the universe, should set the direction for the interpretation, or be merely a pretext or an invitation to this mystical journey. Phurpa is an extraordinary artistic and cultural project, not only on a European scale. For years, its members have been exploring the traditions of Bön – the magical practices of ancient Tibet, Iran and even Egypt, and they take it closer to their listeners. A year ago the first volume of Rituals of Bön was released on vinyl. Zoharum now presents the second volume of this series, based on the recordings from the Moscow gigs where Phurpa performed magic shows lasting up until a few hours. The participants would certainly confirm that they are a highly intensive ritual in which both the band and the audience participate. like gentle water across the sedges and rocks at the tide’s edge. Polarity is a double-sided conglomerate of electronic expressions from all over the world, spanning across atmospheric soundworlds of intimate drone and deep, industrial progressions. This collection of heartwarming soundscapes and foot-stomping house beats is smoother than butter, a series of 26 top-notch tracks that paint an interesting, auditory adventure. Although the album has a minimalistic approach, it offers a surprisingly detailed production. Each track is layered with expert craftsmanship and hypnotic melodies laced against diverse, psychedelic noise echoing in the distance. On all fronts, Transmissions is a successful side-project. There are certainly dark themes present, whether that is the devil or extra-terrestrial beings. The sounds are consistent and interesting. The album stays active enough to definitely hold the attention of listeners throughout every moment. The loops giving a meditative foundation, the vocal samples adding a sort of life and story to the project. Yet, there is still a passivity to all this, giving readers and scholars enough distance from the sound that they can focus on their tasks. Reeves seems to have tapped into something really promising here. Keeping in mind that this was not a planned album, it seems likely that the next outing as Black Box Memories will be even more interesting, and will take the sound to a more focused and story-driven destination. 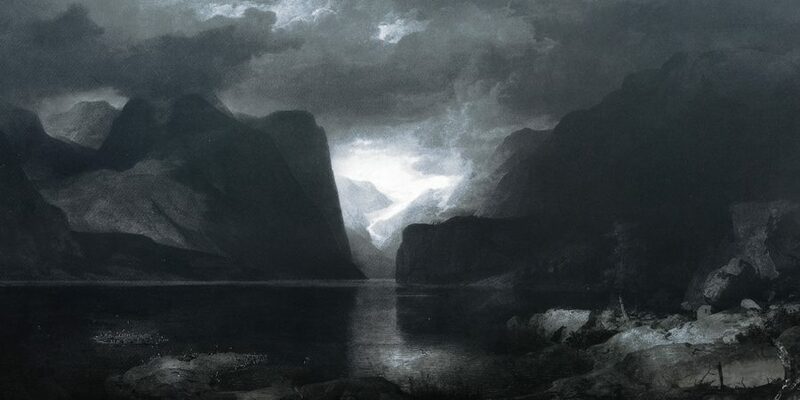 The content provided by both artists on Inner Mystery is top notch dark ambient music. This is the first split to be released on Black Mara, and it seems obvious that the label’s owner knew a gem when he saw one. 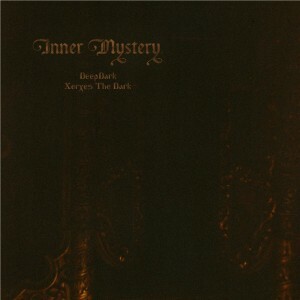 Inner Mystery is dark ambient for any discerning fan. The sounds are well prepared, well executed and well packaged (thanks to the efforts of Black Mara). Inner Darkness is an album that may only provide a few overtly memorable moments, but it is consistently solid, quality work. This is music for the darkest of souls, wanderers of the night, those who would always prefer to lurk in the shadows. If one is new to the sounds of DeepDark and/or Xerxes The Dark, this is the place to make their discovery. It is a fine collection of tracks, by two of the most underrated dark ambient artists in the genre. Anumals is a truly unique experience. If you hate hip-hop, I doubt you are going to be swayed. But if you do enjoy this genre or at least the occasional song within it, you should find a good bit to love about the dark/horror/occult themes on Anumals. 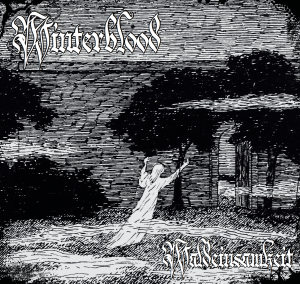 While the sounds themselves are often far from those of dark ambient, the themes, samples, and lyrics of the music should be welcome content for dark ambient fans with an open mind. Azathoth was unleashed on the world in 2015. The collaboration by the Cryo Chamber collective was the second in their series of Lovecraft albums. The series started with Cthulhu and in the time since this publication Nyarlathotep has also been added to the series. The following interview gets some insights about the Azathoth album from a few of the artists involved. In August of 2016 I conducted an interview with the dark ambient artist Randal Collier-Ford. He was fresh off the release of Locus Arcadia, a collaboration between himself and three other Cryo Chamber artists. Not too long before that he released his second album through Cryo Chamber, Remnants. He talked about some of the behind-the-scenes of the Locus Arcadia as well as his plans for the future, among other things. Here you can get to know a bit about the man behind the music.